When grilling and bacon meet the results are unbeatable. Bacon wrapped steak, yes please! Bacon wrapped chicken, amazing. Bacon wrapped ribs, oh my! With this type of thinking it is easy to get carried away. Bacon wrapped ice cream, strange but alright. Bacon wrapped birthday presents, too far!But let's get back to basics. 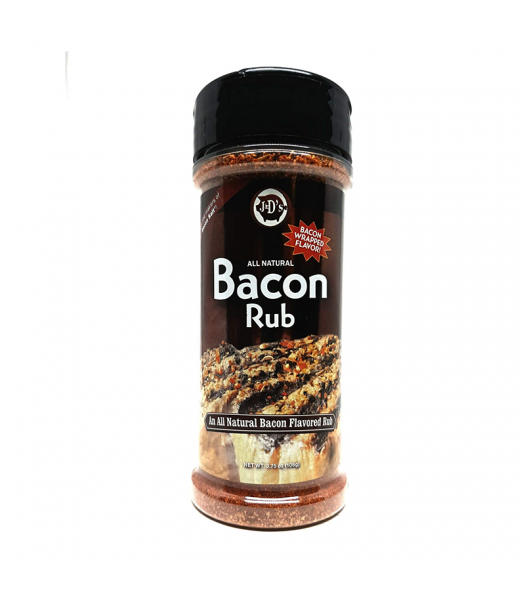 Bacon Rub adds a smoky-sweet, "wrapped in bacon" flavor to anything you put on the grill. Our customers have been asking for this for years - it's been the most popular product idea two years running in our annual customer feedback survey, but we didn't want to launch it until we felt it was just right. 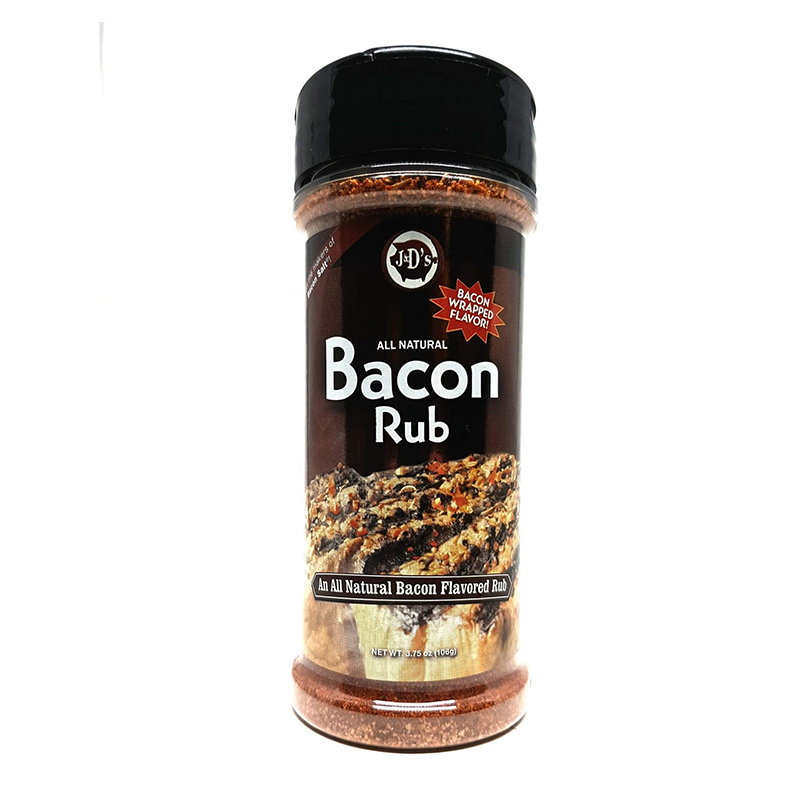 It's all natural, and uses a very unique blend of gourmet herbs, spices and granulated brown sugar for an unreal bacon-on-the-grill flavor. It also comes in a giant 3.75oz jar for all of your summer grilling needs!